Cascade windows and patio doors puts life in the best light. We have built our reputation on superior performance, style and value. 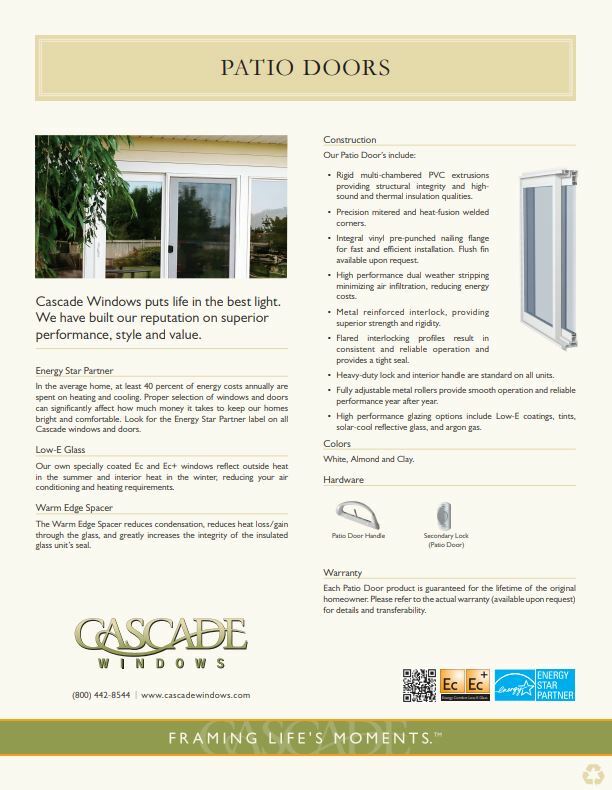 Architects, homeowners and building professionals can all appreciate the Cascade Series. This innovatively designed line blends classic looks with solid structural integrity and additional features. The WinPro Series is designed to give homeowners and building professionals a remarkable combination of sleek looks, reliable performance and serious value. 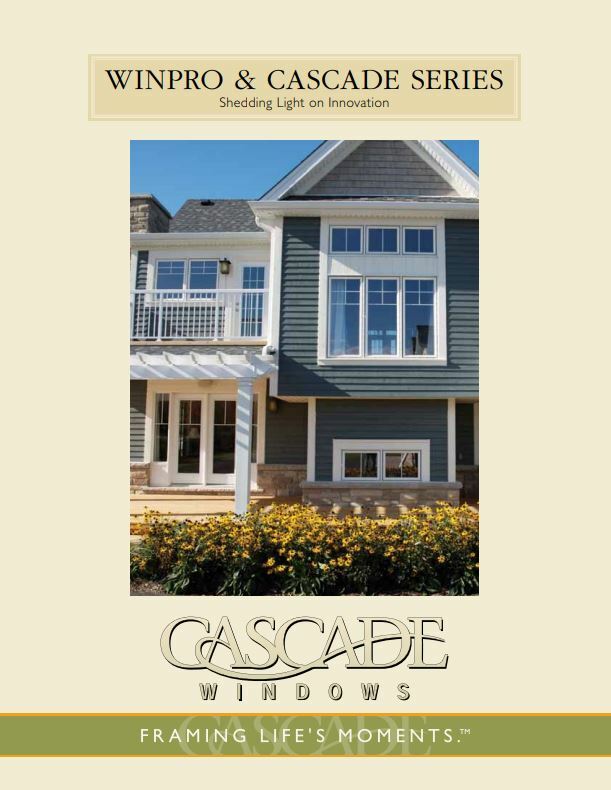 Everything about Cascade Window’s Patio Doors says “excellence,” in looks and reliability. You’ll enjoy years of perfectly smooth operation and benefit from our generous energy saving features, designed to defend your home against the elements.